The Memphis Grizzlies blew the biggest lead in their history against the Denver Nuggets in the NBA. 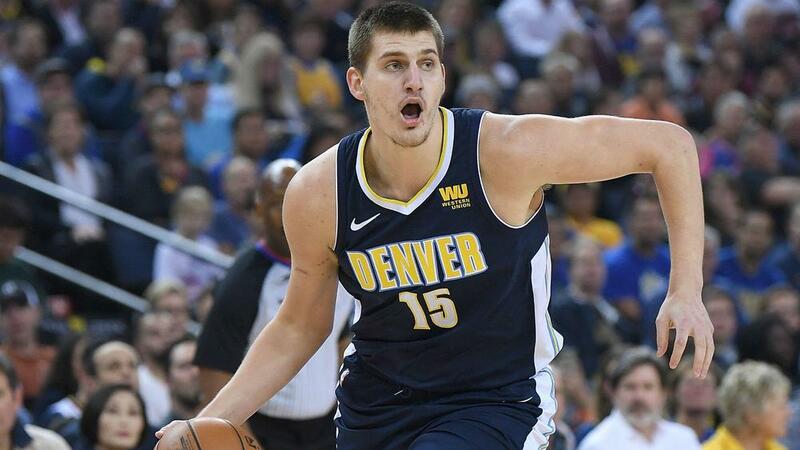 The Denver Nuggets produced a massive comeback to get past the Memphis Grizzlies in the NBA on Monday. Denver did not take control against the Grizzlies until there was less than a minute left in the fourth quarter. They trailed by as many as 25, but a late-game surge helped the Nuggets claim a 95-92 victory. Nikola Jokic has continued to be Denver's go-to scorer, leading the way with 24 points. The elite playmaker only tallied three assists. Mike Conley led all scorers with 28 points on 11-of-19 shooting. Marc Gasol totalled 14 points in the first quarter and finished with 23. The Grizzlies' stars came to play, but the team blew their biggest lead in franchise history in the loss. Memphis have lost nine of their last 10 games while the Nuggets extended their winning streak to three. Stephen Curry scored 26 points on 10-of-13 shooting to lead the Golden State Warriors to a 132-100 win over the Indiana Pacers. D'Angelo Russell scored a game-high 25 points for the Nets, but Brooklyn fell short to the Boston Celtics 112-104. Marvin Williams made one of his eight three-point attempts, scoring seven points on three-of-12 shooting in the Charlotte Hornets' 101-92 victory against the New York Knicks. Kevin Durant scored 16 points on 21 shots in Golden State's win. Denver's Gary Harris did not see the rim on a shot, but it still went in. Marcus Smart found Celtics team-mate Terry Rozier under the basket with a behind-the-back pass. Philadelphia recruited Lakers star LeBron James in the offseason, but failed to land him. Regardless, the 76ers have made other moves to remain competitive. James has been out with a groin injury since December 25, but could return soon.